Vikas Goel and his family noticed that many domestic helps, drivers, security guards, etc, in their locality did not have access to medical care. Whenever they, or their family members, fell sick, they would either avoid going to the doctor or end up visiting some expensive quack. Even if they were able to visit government dispensaries, the prices of medicines were prohibitive; so they came away empty-handed or spent a lot of time getting treatment. With this, grew the seed of an idea—a clinic catering to the underserved—free consultation and medicines for common ailments. Vikas Goel, his wife Seema and father-in-law Surinder, decided to let their actions speak. This non-government organisation (NGO) was, as they say, a token of gratitude to the society we live in. And it is still in its formative stage. Sukrt is a Sanskrit word that means good or righteous deed. It summarises the philosophy of this NGO. Sukrta Foundation was set up as a trust in 2014 at Powai (Mumbai) with the mission to support educational, medical and other needs of people growing up in poverty and to motivate people to do good. Sukrta Foundation currently runs a free medical clinic in Raheja Vihar, Powai. Since April 2015, the free two-hour weekly medical clinic every Thursday has been gaining popularity. A qualified general physician provides free consultation to patients and dispenses free medicines. So far, the clinic has provided over 60 days of free consultations and attended to over 2,500 patients. Every week, some 30-40 patients, staying in and around Powai, queue up to see the doctor. These include people who have been ignoring ailments for long due to lack of money; others are on a repeat visit as their health has improved. There are security guards, who take off from work to consult doctors, and there are house-maids who come with their sick kids. The founders are also piloting a ‘housing society social responsibility’ programme on the lines of CSR (corporate social responsibility). They are working with housing societies to assist them in conducting in-house clinics so that they can help the local maids, drivers and guards. The Sukrta model hopes to be a catalyst for what housing societies and small groups can achieve. Slowly, Sukrta’s list of well-wishers is growing with people coming forward with monetary donations or spending time and energy to design campaigns, build a website, manage the visitors to the clinic, etc. But much more is needed to help the organisation grow. Even today, most of the money comes from its founders. Promoting its work on social media, like Twitter and FaceBook and email, is beginning to help. For readers who share the philosophy of Sukrta and want to extend a helping hand, here are a few things you can do. You can be like Raj Kumar Modi, a retired businessman, and help organise camps, fund-raising and creating awareness; or be like Rahul Kulkarni, who helped design a terrific fund-raising campaign, help spread the word, organise patients or simply write a cheque. Sukrta keeps administration costs to the minimum. The dispensary itself is run by a qualified doctor while the Foundation acts as a sponsor. The cost per patient works out to around Rs75 of which doctor’s fees account for 41% of the cost and medicines cost 34%. If you are a doctor, willing to volunteer time to run a dispensary or can spare the space for a couple of hours every week, do connect with Sukrta. They would love to hear from you. Sukrta Foundation is registered as a public charitable trust with the charity commissioner of Mumbai. It has applied for approval under Section 80-G exemption from the income-tax department. Very good initiative and truly helpful to people in need. Great initiate indeed. Thank you. In his final year at the government college of technology, S Ramakrishnan decided to appear for the Indian Navy selection exercise, with the intention of joining the defence services. But fate had decreed otherwise. He fell from a height during the selections and suffered multiple spine injuries that left him a quadriplegic for life. However, the accident opened an important chapter in his life. He went through intense self-rehabilitation and decided to do something meaningful with his life by helping the underprivileged. So, in 1981, the International Year of the Differently-abled, he set up Amar Seva Sangam, with himself as its founder and first employee. He named the organisation after Air Marshal Dr Amarjith Singh Chahal of the Naval Hospital at Pune who motivated and inspired him to use his brain and energy to lead a positive life. Located at Ayikudy village in Tamil Nadu, it began by teaching basic English, Hindi and offered personality development programmes for schoolchildren. Its work soon gained recognition locally. A decade later, there was another turning point. By 1991, Mr Ramakrishnan had the vision of building a full-fledged rehabilitation centre providing all facilities to the differently-abled under one roof. 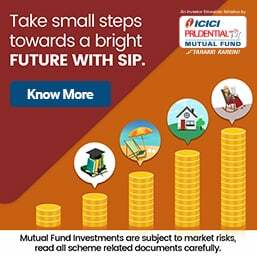 At that time, he came in contact with S Sankara Raman a young, gold-medallist chartered accountant who suffered from muscular dystrophy and was confined to a wheel-chair but had a lucrative practice. The two men discussed Amar Seva Sangam and Mr Sankar Raman was so convinced about Mr Ramakrishnan’s cause that he decided to devote all his energies to the organisation and even shifted his base from Chennai to Ayikudy, in 1992. From then on, the institution started growing briskly and has expanded its activities to provide education, training, institution-based rehabilitation, village-based rehabilitation and employment generation for the differently-abled. This includes a home for around 50 children with loco-motor disability and associated problems. It runs a school for children with a wide range of special needs. There are hostels for the physically challenged providing food and shelter while undergoing education and training programmes for income-generation. The Sangam has early intervention centres, a special school for the mentally challenged, centre for rehabilitation of the spinal-cord injured, a physiotherapy centre, vocational training centres, tailoring and notebook making facilities, etc. Everything is offered free of cost to the differently-abled. While Sankar Raman is satisfied with the achievements of Amar Seva Sangam, he, too, like other NGOs admits that fund-raising is a big challenge. 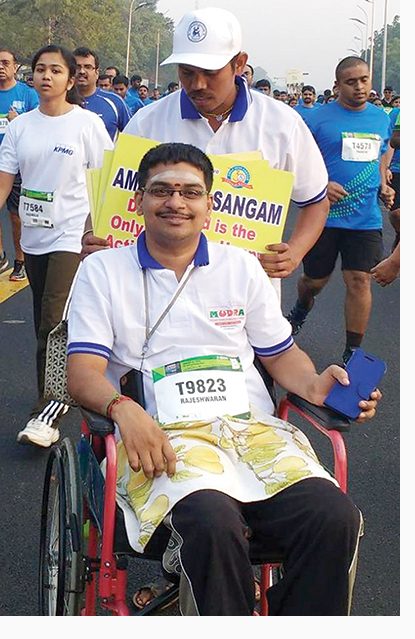 “We try to meet this through various public relations exercises and participation in events like Standard Chartered Mumbai Marathon, besides use of social media like Facebook, Whatsapp and simple emails too.” Clearly, as the funds come in, Ayikudy will continue to be a temple and refuge for the differently-abled. The institution generates some revenue from the sale proceeds of products like notebooks and garments produced by its wards. Amar Seva Sangam’s work and dedication has touched the lives of over 14,000 people with disabilities in 800 villages in the districts of Tirunelveli, Tuticorin and Virudunagar through 460 self help groups. Amar Seva Sangam is a non-profit organisation. Donors are eligible for income-tax benefits under Sections 35AC and 80-G of the Income-Tax Act. The Sangam also is registered with the home ministry under the Foreign Currency Regulation Act to receive foreign contributions. When he was teaching at the West Bengal National University of Juridical Sciences (WB NUJS), Prof Shamnad Basheer noticed that a majority of students at this premier legal institution came from urban, English-speaking, English-medium-educated backgrounds. This was a pattern that repeated across elite law institutes, with richer, English-speaking youngsters forming a majority of the students. This is not at all representative of the diverse population of the country. Prof MP Singh, he conceptualised IDIA—Increasing Diversity by Increasing Access. A not-for-profit entity called IDIA Charitable Trust was set up with Dr Basheer, Prof Singh as well as Justice Ruma Pal and Shishira Rudrappa. IDIA works with a community of dynamic student volunteers. Dr Basheer says, “Their passion and motivation on the ground keeps the organisation charged up and constantly engaged.” Interacting with the IDIA scholars is also a learning opportunity for the team which works at converting each adversity into an advantage and build resilience. These volunteers travel to specific schools and begin with sensitising students, teachers and parents about the benefits of a legal education. IDIA then conducts a basic aptitude test to identify promising students. These students are guided and trained to for the Common Law Admission Test (CLAT) which includes help with written and spoken English. It provides study material which will now be provided online as well. IDIA is also working with national law colleges to get fee waivers for scholars to help pay their way through college or arrange support from lawyers and law school alumni. Candidates who clear CLAT are also allotted mentors in law schools to guide them and to ensure that they are not rendered as ‘misfits’ or feel ‘socially awkward’ in law schools but hone their talents and abilities to their fullest potential. While this work began in West Bengal, IDIA now has local chapters operating from New Delhi, Mumbai, Kolkata, Ranchi, Jodhpur, Gangtok, Bhopal, Cochin, Gandhinagar, Bengaluru, Chennai, Guwahati, Bhubaneswar, Lucknow, Patna, Cuttack and Hyderabad. Getting the law institutes to see the value of diversity on campus and to understand that IDIA scholars are not charity cases that would cause the institutes’ standards to plunge, was a challenge. Over time, it became evident that IDIA scholars did well and are actively engaged in campus activities, after overcoming the initial hurdle of dealing with English as a medium of instruction and the relative socio-cultural isolation that occurs in the first year or two. IDIA arranges for financial support for IDIA scholars, once they gain admission into the top law schools. Fund-raising is a huge challenge. “On the one hand, law institutes are constantly rising tuition fees but there is no corresponding increase in scholarships/waivers. 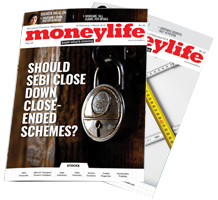 On the other hand, there is the constant hunt for institutional support for funding which is, strangely, not forthcoming within the country,” says Shruthi Chandrasekaran, director, IDIA. All donations to IDIA are exempt from income-tax under Section 80-G.